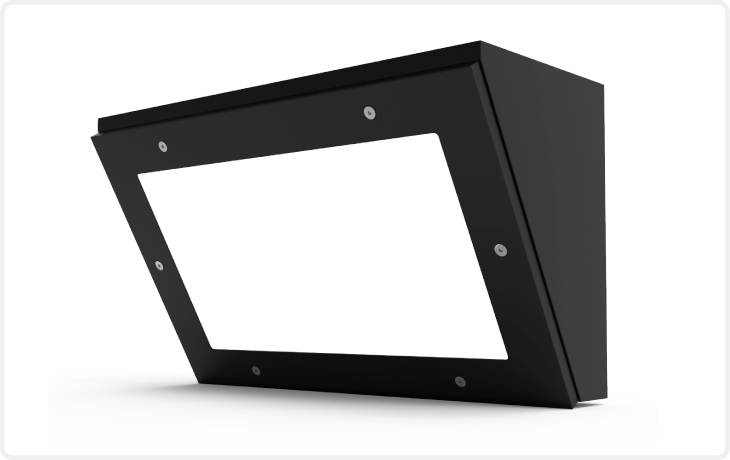 Designed for installations where severe or prolonged attack may occur. 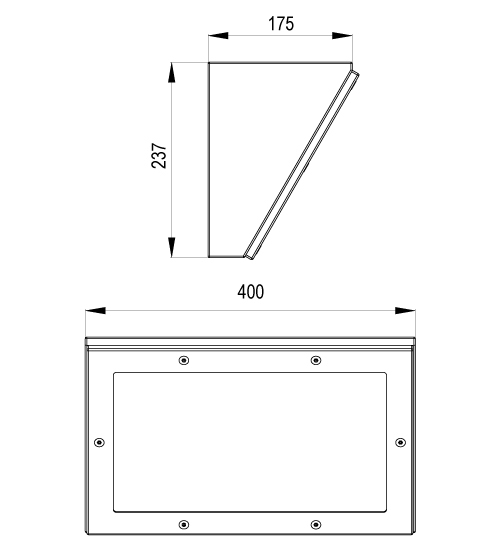 400mm compact 60/30 degree angled body manufactured from zinc coated steel. 3mm opal polycarbonate flat panel secured by anti-tamper fixings.